Recently, I was asked by News.com.au, to write a piece on my picks on where to eat and drink, in a suburb by suburb guide to Melbourne (below). Join Joe and me as we go on a date night hit list of some of our favourite haunts; just a few of the reasons why I love this town! Regardless of whether you’re southside chic or hip in the north, part of the cool young family crew in Footscray or beachy in St Kilda, one thing’s for sure: Melbourne knows how to eat. news.com.au has teamed up with Visit Victoria to give readers the best local knowledge on where to find Melbourne’s hottest dining destinations. From weekend brunch to late night bites, each pocket of Melbourne contains something delicious, no matter what time it is… because, it’s always time to eat. Melburnians are a loyal bunch. They’re not afraid to stick with the places that have served them well, and as such, many venues stand the test of time and dining dynasties are born. Over by the beach, Ronni Di Stasio’s eponymous namesake restaurant and bar may have recently opened a city iteration (Citta), but there’s real charm in visiting the original Café Di Stasiofor a Negroni and a plate of fritto misto. Meanwhile, down the street, Lau’s Family Kitchen sets the bar for what a local Chinese restaurant can be. It’s famous sister restaurant Flowerdrum may garner the accolades in this family, but there’s something to be said for soul food in the ’burbs. A rush of new blood is always a great thing though, and historic live music venue The Espy has recently been reborn into its latest life; featuring plush new interiors, 12 bars over five floors, including cocktail bar The Ghost of Alfred Felton; helmed by Oska Jarvis-White, formerly of Fitzroy gold standard drinking establishment, The Everleigh. Meanwhile, over at The Stokehouse, it’s time to get bougie on the bay and enjoy a long, luxe lunch in architecturally inspired Pascale Gomes-McNabb designed space on the water. Creeping towards the city, the South Yarra/ Windsor area celebrates the dichotomy of old and new; with classics like French bistros France Soir and Entrecôte continuing to occupy a crucial part in the cultural heart of the south. Enduring pub venue The Botanical is also undergoing a fresh lease on life, with new ownership in the driver’s seat. Meanwhile, new venues like Galah and Atlas Dining provide a fresh, new perspective on all things stylish and south of the Yarra. We know South Melbourne has a great fresh food market scene, but that doesn’t mean options are short on the ground when it comes to great eats. The area around South Melbourne Market is littered with edible gems, including pastry palace Chez Dre; revered pastry chef Andres Reiss’ namesake café, while Bibelot is her glossy, modern ode to all things chocolate, coffee and supremely covetable. For something more savoury, Park Street Pasta & Wine has also been giving Melbourne a solid run for its money when it comes to Melbourne’s best pasta. From hot pot to hotspot, the city is changing daily, especially when it comes to late night eating. Dragon Hot Pot’s 24-hour spicy Chinese odyssey has much of Melbourne’s hospitality crowd happy after service, as well as Butcher’s Diner, for one of the best burgers in the city, no matter how late (or early) it is. On the cult classic front, Ling Nan also will never not be a chef favourite. Here, 2am means bronzed, crispy five-spiced quail, pippies in XO over noodles, ice cold Tsingtao and half a dozen of your best mates. A night out on the town is best-spent venue hopping, exploring the city’s charming alleyways, bars and dining spots. After 11 years, chef Matt McConnell and restaurateur Jo Gamvros’ Bar Lourinhã on Little Collins Street continues to be one of the city’s most compelling date night spots, with some of the best food in the city, sans the hype. A few streets over, their friend and sometimes-cohort, bartender Joe Jones matches them in the romance department (I should know, I’m married to the guy) at his aptly named and intimate table service cocktail bar, Romeo Lane. Speaking of lanes, Punch Lane’s media darling Sunda relishes showcasing the merits of truly imaginative fusion; with chef Khanh Nguyen’s imaginative interpretation of South East Asian food, presented through an Australian lens. A stumble next door, and neighbour Bar Saracen (owned by Middle Eastern restaurant royalty Rumi Dining) offers up delicious bar snacks “of Middle Eastern Appearance”. Edging out of the city into the north, Carlton’s proud Italian heritage appears to be in good hands, with a new generation of operators, lifting up one of Australia’s most vital migrant cultures. Multi-venue behemoth, King & Godfree has finally reopened, offering an Italian deli, rooftop bar, gelateria and (set to open soon) wine bar, while new kids on the block Capitano and Leonardo’s Pizza Palace bring a new-school, Americano Italian vibe, to the Carlton massive. In nearby Fitzroy, chef Shannon Martinez, of Smith & Daughters, has reimagined her vegan restaurant menu into a hit parade of Italian trattoria favourites, which are punchy and vibrant regardless of the absence of meat. Tucked in the leafy streets behind Brunswick Street, Napier Quarter lives up its quest to provide a neighbourhood sanctuary in the form of a smart café by day and a chic wine bar with al fresco seating, come sundown. If pubs are more your thing, Fitzroy and Collingwood’s quiet neighbourhood bars provide each to their own, with everything from bar cats (his name is Barry) and free pool on Mondays at Labour in Vain, to live rockabilly music and excellent Texan style BBQ ’n’ bourbon shots at The Gem Bar. The city fringe suburbs are not exempt from the action either, with Yarraville welcoming superlative fine diner Navi, to the neighbourhood, while Footscray has evolved to expand its offering of delicious authentic Ethiopian and Vietnamese cuisines like Addis Abeba and To’s Bakery, to include dynamic newcomers like gastropub Harley & Rose and boozy bakery Bad Love Club. And speaking of bakeries, it would be remiss not to mention nearby North Melbourne’s Beatrix Bakes; purveyors of some of the best CWA-style cakes, hand pies and slices in town, from their tiny hole-in-the-wall shop on Queensbury Street. Whether you identify with a tribe in a specific area, or you’re simply an indiscriminate eater, Melbourne’s litany of food offerings from shoestring to Champagne and suburb to city, is a delicious, moving feast. From pop-ups to 24-hour joints, institutions and newcomers, chances are there’s something for everyone, and the next time you’re looking for somewhere to eat, the landscape will have changed yet again. Not bad, for fresh food. When you tell people you get to travel for work, people usually ask “How do I get that job?” To which I usually answer… “You’ll have to fight me for it!” For as long as I have thought about what I want to do for work when I grew up, I have wanted travel to be a part of that. 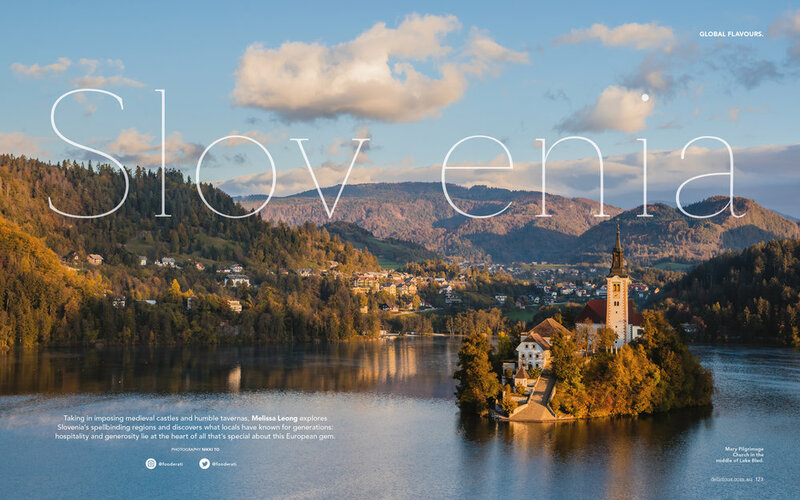 Recently, Luxury Escapes sent me to Slovenia to write a story for Delicious Magazine and, spoiler alert, it was bloody amazing. You’ll be able to read about it in an upcoming issue in 2019 but for now, I spoke to Richelle Hunt on ABC Radio Melbourne about my trip - good notes for my upcoming deadline! It is an excellent place to road trip, but if you want a more curated tour of this incredible country, click here to find out how you can skip the queue for Hiša Franko (and get an inside look at this magical place from the experts who know everyone on the ground). Falling into food writing "accidentally" after working in advertising, Leong is a voice bridging the old and the new. While she champions the 'old school' values of fine dining, she also embraces social media and inspires home cooks on her website fooderati.com.au. 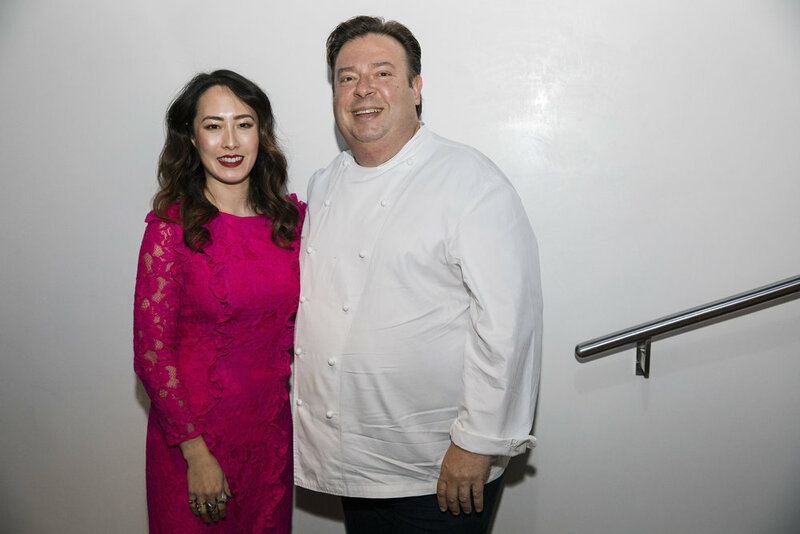 I had the great pleasure of hosting a very special dinner at Quay, where some very lucky American Express Platinum Card holders were among the first diners in Australia to experience chef Peter Gilmore’s brand new menu, in the very handsome new Quay restaurant. It was a fantastic night, interviewing Peter and lifting the lid on the creative process of transition and evolution for Quay, and Peter personally. Hospitality Magazine: Are Restaurant Awards Relevant?